Poets and authors have tried to define love for centuries, whereas scientists have only recently started. Many of us know intuitively that love is a major purpose for living; that connection is inherent in all that we do, and without love, we cannot survive as a species. In all of the wild celebrity pairings, many people would probably not think that they would see Yo Yo Honey Singh and Miss India UK Deana Uppal together. The two of them have reportedly secretly dating, but they have worked hard to keep things a secret from the public. 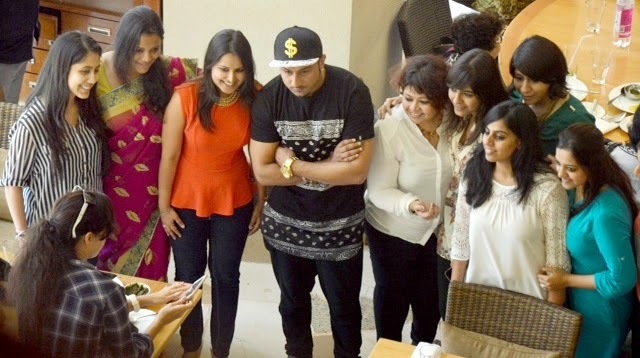 It was originally rumored that Deana Uppal and Honey Singh spotted having lunch together in Mumbai. “They spent three hours laughing and joking. It’s clear Honey Singh is smitten and after the date he was on cloud nine”, sources said. Honey who has won hearts of millions across the world was seen spending his special moment with Deana. Recently Deana who burned up the screen with her action chops, proving that punching, kicking, shooting and stabbing in Fear Factor: Khatron Ke Khiladi. According to the sources this romantic date however, was bothered by the fans of Honey spotted him and couldn’t stay away from clicking pictures and Honey also, impressed Deana by showing his love for kids and he held a baby of a fan who came to meet him.